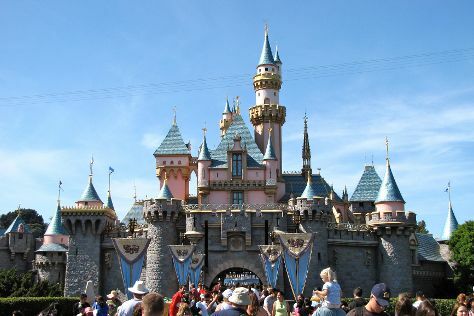 Have a day of magic on the 1st (Thu) at Disneyland Park. Have a day of magic on the 2nd (Fri) at Disney California Adventure Park. And it doesn't end there: make an unforgettable trip to Downtown Disney, get your game on at Flightdeck Flight Simulation Center, and test your problem-solving skills at popular escape rooms. For other places to visit, traveler tips, reviews, and more tourist information, read our Anaheim online holiday planner . Austin to Anaheim is an approximately 5-hour flight. You can also do a combination of flight and bus; or drive. The time zone difference when traveling from Austin to Anaheim is minus 2 hours. In August, Anaheim is little chillier than Austin - with highs of 87°F and lows of 68°F. Cap off your sightseeing on the 3rd (Sat) early enough to go by car to Coronado. Coronado is a resort city located in San Diego County, California, across the San Diego Bay from downtown San Diego. On the 4th (Sun), kick back and relax at Coronado Beach, head off the coast to Coronado Island, and then admire all the interesting features of The Silver Strand Nature's Bridge to Discovery. On the next day, pause for some photo ops at Vietnam Unit Memorial Monument, then get outside with Xtreme Adventures, and then enjoy the sand and surf at Coronado Dog Beach. To see photos, maps, other places to visit, and other tourist information, refer to the Coronado day trip planner. Traveling by car from Anaheim to Coronado takes 2 hours. Alternatively, you can take a bus; or take a train. While traveling from Anaheim, expect little chillier days and about the same nights in Coronado, ranging from highs of 77°F to lows of 68°F. Cap off your sightseeing on the 5th (Mon) early enough to travel to San Francisco. Explore the numerous day-trip ideas around San Francisco: Muir Woods National Monument (in Mill Valley) and Tall Trees Grove (in Redwood National Park). There's much more to do: step off the mainland to explore Alcatraz Island, explore and take pictures at AT&T Park, snap pictures at Golden Gate Bridge, and get to know the fascinating history of Twin Peaks. For photos, more things to do, ratings, and more tourist information, go to the San Francisco travel tool . Traveling by flight from Coronado to San Francisco takes 3.5 hours. Alternatively, you can do a combination of flight and train; or drive. Traveling from Coronado in August, plan for a bit cooler nights in San Francisco, with lows around 59°F. Wrap up your sightseeing on the 11th (Sun) early enough to travel back home.